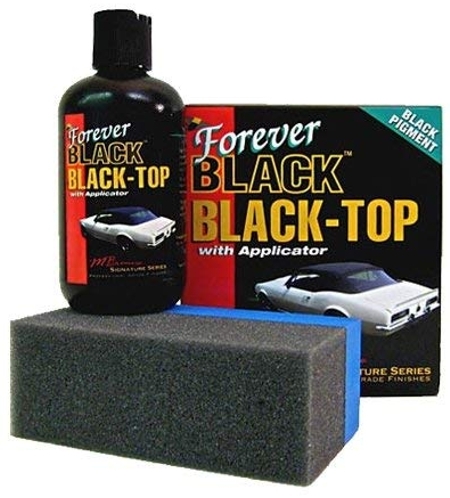 Forever BLACK™ Black-Top gel rejuvenates faded sun-damaged tops (vinyl, convertible, bimini and soft tops) to a rich black luster. Environmentally friendly, silicone-free and black-pigmented polymer proves successful in keeping vehicles in tip "top" condition. With built-in UV protectants, Black-Top gel protect treated surfaces from further sun damage. Provides coverage on an average of 3-4 convertible auto tops.